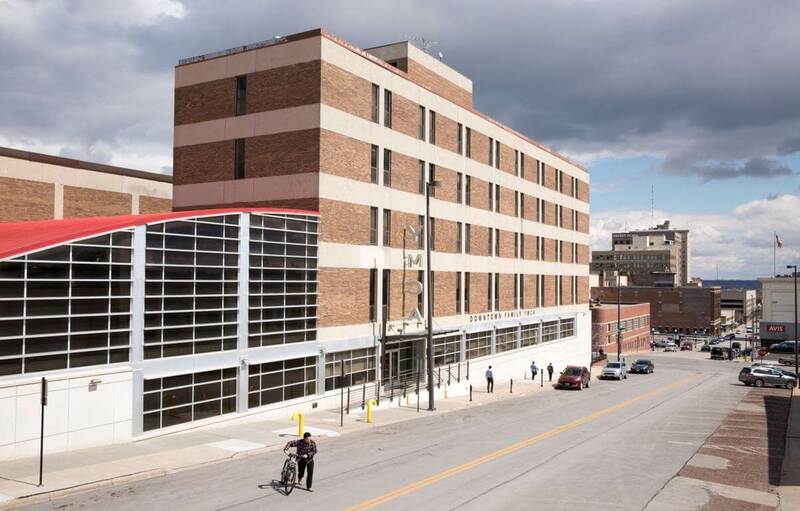 The Downtown Family YMCA is the second of five Omaha nonprofit finalists in the All Makes 100 Year, $100k Office Makeover Contest. The Downtown Family YMCA’s mission is to put Christian principles into practice through programs that build healthy spirit, mind and body for all. Answers courtesy of Liz Kerrigan, Omaha Chamber of Commerce and YMCA Downtown board member and Brandon Brugger, Downtown YMCA Executive Director. 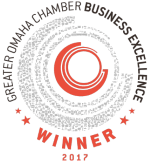 To vote for the Omaha winner of the office makeover contest, click here! Q: Why do you need an office makeover? A: The Downtown YMCA is in great need of an office makeover. Hundreds of community members use the facility each day and much of the office equipment is dated and in some cases, broken. Office equipment for staff is a mix of mismatched chairs, desks, computers, etc. Many of the items were at one time donated or passed down from previous teams. The Downtown YMCA helps youth and adults in our community and would benefit from a makeover! Q: How do you devote ethical business practices to fulfilling your mission? A: I am a Board Member of the Downtown YMCA. As a board member I help ensure the business practices are always in line with the mission of the YMCA. Q: What are some positive examples of your influence on the community? A: The YMCA provides community to everyone. Financial assistance is available and provided to anyone who needs it. The Y is more than a place to exercise – it provides programs for youth, adults and seniors. Whether you need to learn to swim or you need a cancer support group – the Downtown YMCA can help. In 2017, the Downtown YMCA provided over 1,750 individuals with $400,000 in direct financial assistance for childcare, camp, youth sports, health & well-being programs and Y membership. The Y touches families, children, and seniors in need throughout the metro Omaha area, making a meaningful impact right in your own neighborhood. Q: Please demonstrate your leadership. A: Though our city is developing, we continue to face challenges that create a greater need than ever for the work we do. Vulnerable neighborhoods near our city’s center are seeing increased poverty, leaving many families unable to provide for themselves. Fortunately, where some see obstacles, we see opportunities for our members, volunteers, and staff to make a difference. From exercise to education; from volleyball to volunteerism; from preschool to preventive health, the Y doesn’t just strengthen our bodies, it strengthens the community.